Prior to Tuesday's game between the Montreal Canadiens and Ottawa Senators at the Bell Centre, the Canadiens donned custom jerseys featuring the player's nicknames during warm-ups. The jerseys that featured the likes of "Tuna," "Gally," and "Pricer" were auctioned following the conclusion of the game for the Canadiens Foundation during the team's annual team telethon, RadioTeleDON. 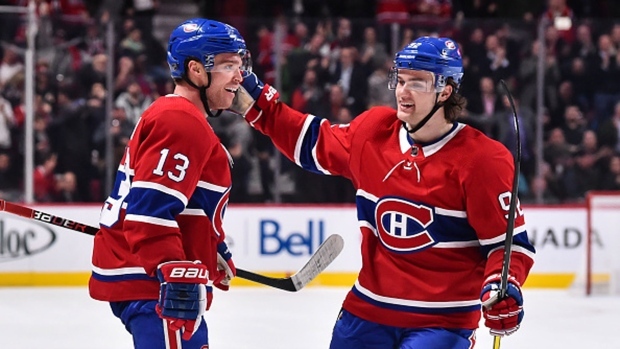 After the warmups were, the Habs went onto defeat the Sens 5-2 lead by six points from Jonathan Drouin and Max Domi. Donations can be made to the telethon by heading over to OurGoalAssist.com. Special photos of Jesperi Kotkoaniemi, Brendan Gallagher and Guy Lafleur will be delivered to those that donate $50, $100, or $250.